A dog owner who left his next-door neighbour with a fractured eye socket in a revenge attack for killing his beloved English bull terrier Dave with a samurai sword has been jailed for five years. Matthew Oram was convicted of inflicting grievous bodily harm with intent to cause grievous bodily harm to Adam Ashurst by pushing him to the ground and repeatedly punching and kicking him. The attack on July 15 last year occurred exactly four months to the day that 10-year-old English bull terrier Dave was effectively ‘cut in two’ by Mr Ashurst, a court heard. The dog, said to have been ‘treated like a baby’ by the Oram family, had been killed by Mr Ashurst on March 15 last year. He struck it with one blow with the ornamental weapon after it escaped from its home in Gillingham, Kent, and into his neighbouring terraced house. Mr Ashurst, 30, told a court that having been alerted by screams and yelps, he grabbed the steel-bladed katana from his bedroom and struck Dave after finding him in the living room attacking his toy poodle. He was arrested but when police decided not to charge him in relation to Dave’s death, it was said the Oram family became ‘very upset and very resentful’. Oram first embarked on a campaign of harassment against his neighbour before carrying out the brutal attack in the street, Maidstone Crown Court in Kent heard. He later admitted to police that he was angry and frustrated by their decision not to prosecute over his dog’s death and so, having been told by his wife she had seen Mr Ashurst leaving his house, he went after him to ‘give him a slap’. But although he agreed he lost control and fractured Mr Ashurst’s eye socket, leaving him in need of surgery, he denied that he intended to cause such serious harm. 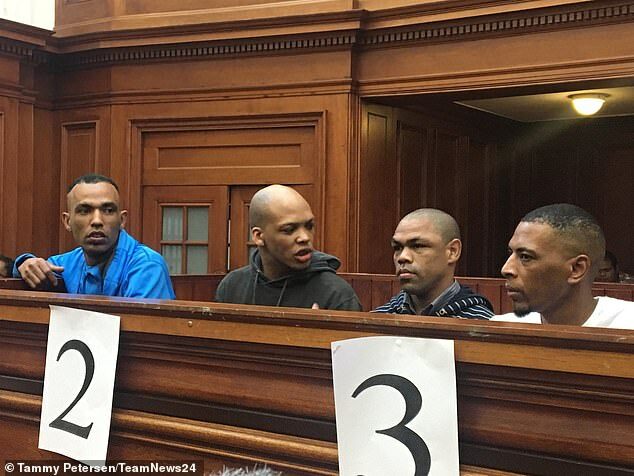 However, the a jury took less than three hours to convict the fahter-of-two of inflicting grievous bodily harm with intent to cause grievous bodily harm, and harassment causing alarm or distress. This included stones being thrown at Mr Ashurst’s bedroom window, verbal and physical threats, spraying water from a hosepipe into his property, smashing a front window with a brick and cutting a telecommunications cable. The court heard Mr Ashurst, who lived with his mother and 85-year-old grandmother at the house in Castlemaine Avenue, became so scared he installed CCTV cameras to film the front and rear of his neighbour’s home. Oram, who admitted during his trial that he was ‘disappointed’ with himself, was cleared of the more serious harassment charge of putting a person in fear of violence. 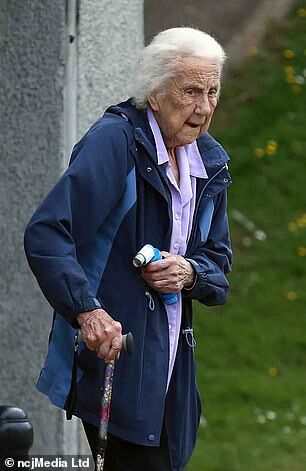 Sentencing had been adjourned after Judge Philip St.John-Stevens told Oram, who suffers from depression and sobbed when he gave evidence about his dog, there was a ‘degree of provocation’. It was alleged Oram’s daughter Jade, 20, had also been involved but she was cleared by the same jury of inflicting grievous bodily harm with intent, the alternative offence of inflicting grievous bodily harm, and harassment. The court heard Oram, his wife Vicky and their two children had given Dave a new home in 2012 when his previous owners could no longer keep him due to personal circumstances.